Enjoy peace and quiet in a nice comfy ocean front house with 4 rooms, each with private baths, free WiFi, and Cable TV. Listen to the waves crash on the sandy beach just outside our Hamptons bed and breakfast as you drift off into a wonderful night’s sleep. Each of the inn’s 300 sq. 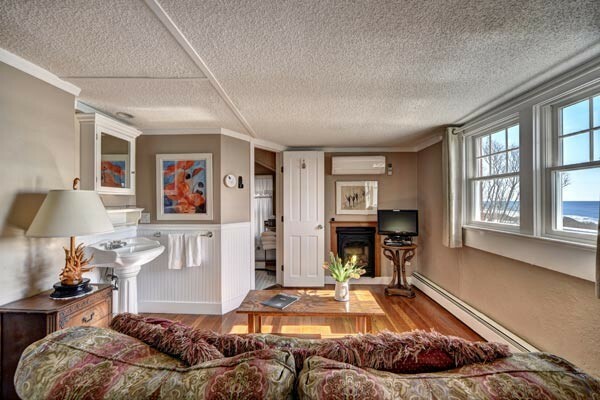 ft. luxury suites offer a beautiful ocean view. Continental breakfast is included with your stay. 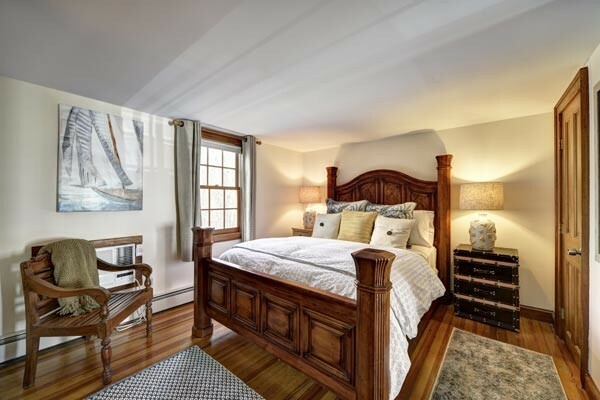 This first floor two room suite has a private porch with ocean views, living room with couch and fireplace, and queen size bed in earshot of the ocean waves to help lull you to sleep. 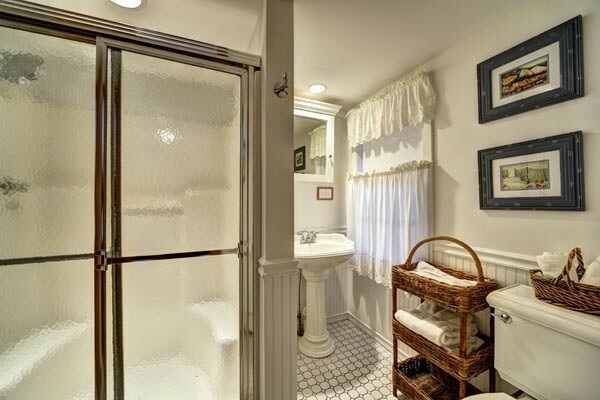 The private bath is well equipped with shampoo, conditioner, and full plush bath towels. Sitting out on the veranda at night with a glass of wine, listening to the waves is a lovely treat. This suite has A/C and a living room with pullout couch. 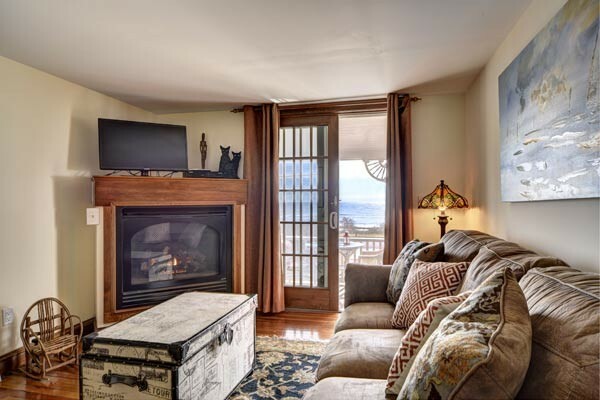 A second-floor, ocean view, two room suite with queen bed that’s very comfy and tastefully decorated with antiques and a cozy fireplace. 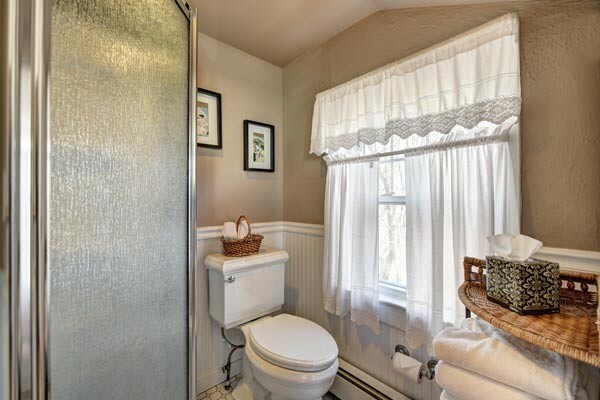 The private bathroom offers plush bath towels and a shower. Open the windows and hear the splash of the surf, just steps away. 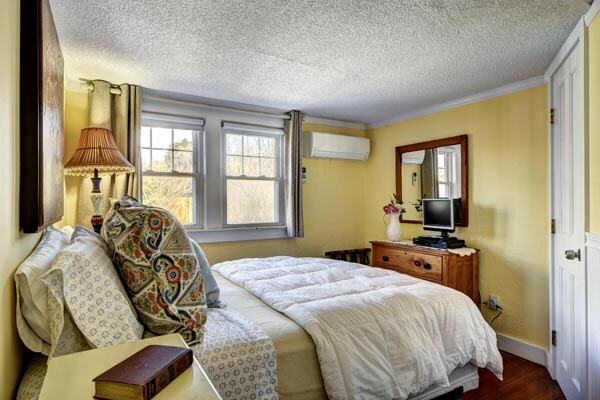 This suite includes A/C, a cozy fireplace, and a pullout couch. 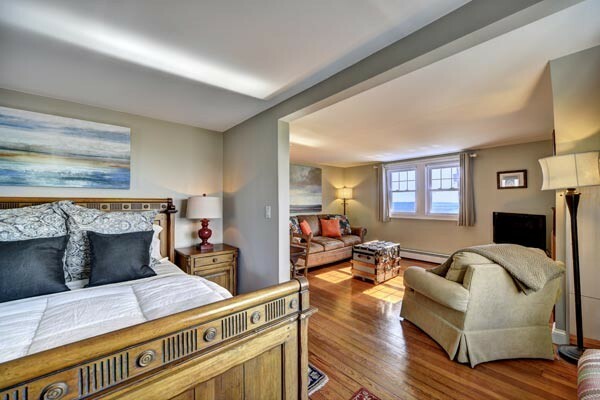 A second floor, ocean view, 2 room suite with fireplace, sitting area and bedroom. 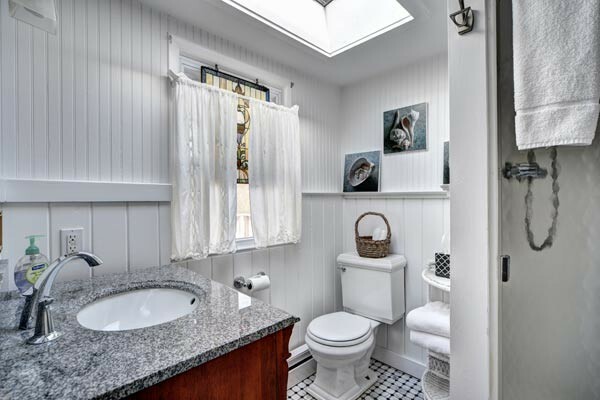 The private, ensuite bath has a shower and the little sitting room comes complete with a couch, tv, and a gas fireplace. The bed is in a separate alcove. 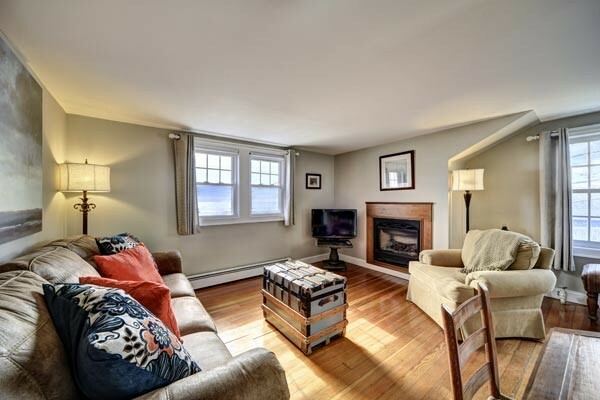 The room is lovely and bright, with two sets of windows looking out at the ocean across the street. This suite has A/C. 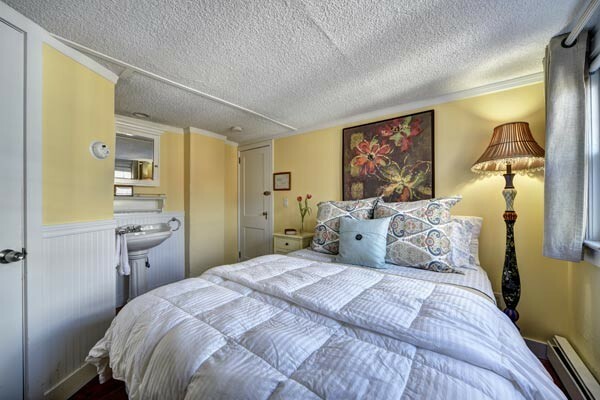 This is a small but cozy room, and while small, guests will enjoy its value and frequently comment that they spend most of their time on the beach just across the street. 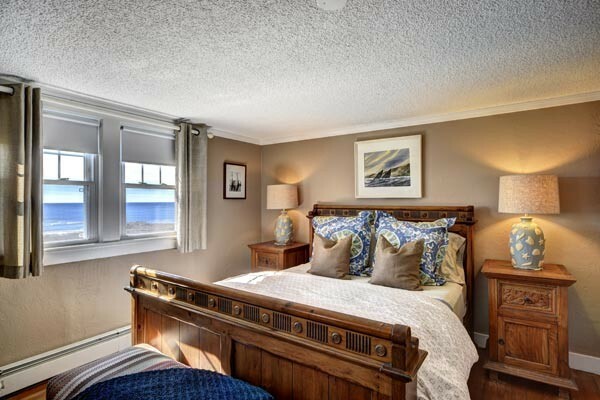 Clean and quiet, this room features AC, cable TV, a double bed, and an ensuite bath with shower.